We recently had the opportunity to meet with some of the great people at CoachArt and hear about their wonderful work. CoachArt is a nonprofit that provides free lessons in arts and athletics to children with chronic or life-threatening illnesses. These creative and physical outlets provide a much-needed distraction from their condition and gives the children a sense of normalcy. Siblings are also encouraged to take part in the lessons. If this sounds like something you'd like to support, please read more at CoachArt's website. 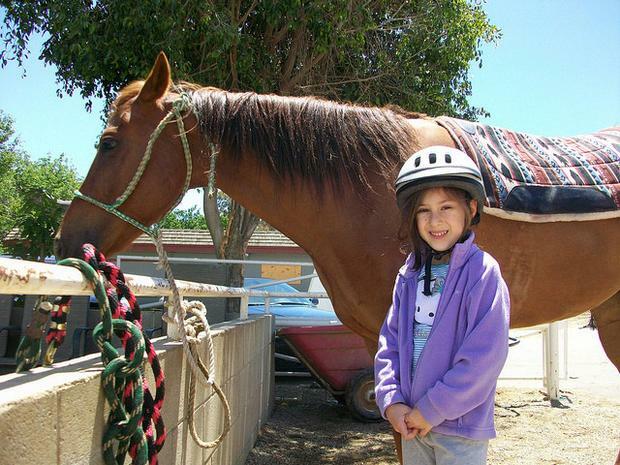 A scene at CoachArt's "Saddle Up" horse riding clinic.